UPDATE: Scranton, 9/25 pre-sale details below in comments. 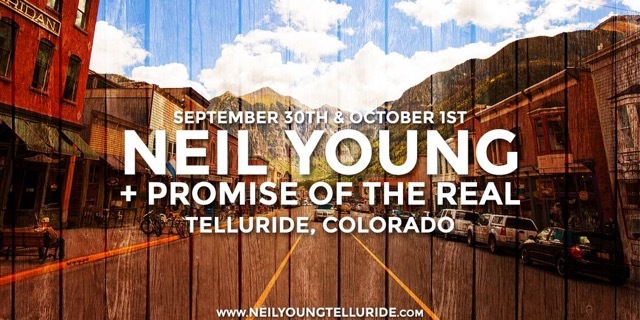 Presales begin today for Neil Young + POTR in Telluride, Colorado, on 9/30 & 10/1. More info at neilyoungtelluride.com. Earlier this year we posted on a potential Neil Young + Promise Of The Real concert in Telluride, Colorado this Fall (Bringing Neil Young to A Town in Colorado: Telluride Town Council Holds Hearing on Concert ). These concerts are warm ups for the big Desert Trip Festival in October when Neil Young + Promise Of The Real will open for Paul McCartney. Thanks Babbo, TopangaD and all the rusties out there making sure everyone is on the RAIL!! I was excited for just a NY+POTR real show in Scranton but I am not going to the festival. Seems odd that Willie is hosting another festival one day after Farm Aid, I thought they would want to keep the focus on Farm Aid especially since both festivals are so close to each other. Friends, I am seeing if you select 'buy on map' you can still find VIP tickets in the 2nd and 3rd rows (for Scranton). Tickets are pricey ($275) but gets you right upfront, good luck all!! What is the Telluride presale code?? Given that this is the first show of Wllie's Outlaw Music Festival, betting that Neil and POTR will be super motivated to make this a huge success for Willie … also, perhaps most acts will do a shorter set and then Neil and POTR can rock out their regular 3+ hour gig, and if not then we can fall back on Scots assertion that shorter is sometimes better :) … either way so grateful to see Neil and POTR back on this side of the pond!! Looking for the NY fan club presale code for Telluride? Can anyone help me out? From what I can see you don't need a pre-sale code, go to the following url, pick the ticket you want, then if you don't have an account, you can simply register there for a new account. Thanks Dan1 it worked! Got our tickets!! Got our tickets earlier today, we are so EXCITED. Not sure we would have drove from MO to Telluride just for the concert, but as luck would have it we are on our way back from Yellowstone and this date worked out perfect. Last time we say Neil was in Nashville for the Twisted Road tour in 2010. Glad he is playing with POTR. See you Friday Sept. 30th! 2 GA tickets secured. 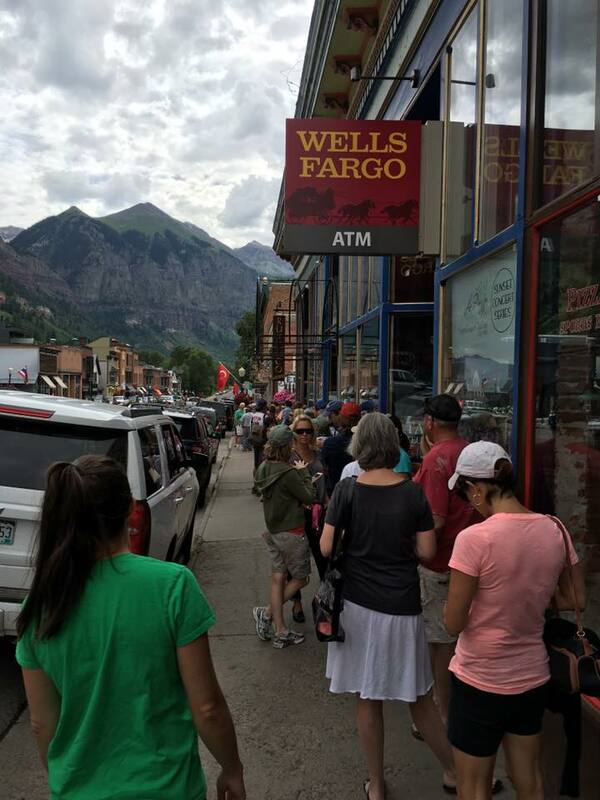 1 hour drive to Ouray gets you a decent hotel for as low as 129.00 if not camping. yea baby, 2 months off thou. I want that 3+ hr show Old Man and am traveling 1000 miles to get it, well 2k round trip. Well, the beauty with these recent set-lists is that anything's possible. "Old Man" is always a strong contender to make the cut, but as long as Neil doesn't play like an old man, I'm good! Enjoy the trip and show. It will likely be a dress rehearsal for the Desert Trip shows, so I think it will be pretty special.. I spose calling him Old Man is a dis service as hes playing like anything but. like Eddie Haskell used to say, "Giving him the business". in more ways than one.